In an effort to raise awareness of dental hygiene, Dr. Laurence Breiterman focuses on patient education through the month of October in honor of dental hygiene awareness month. Offering advanced dental treatments in gum disease prevention and tooth replacement, Dr. Breiterman guides patients back to optimal oral health. Dr. Laurence C. Breiterman raises awareness of dental hygiene this October. In recognition of dental hygiene awareness month, Dr. Laurence Breiterman focuses on patient education with gum disease prevention and healthy tooth replacement options for optimal oral health. The most important way to keep up with oral health is to brush properly and floss every day. Dr. Breiterman has an entire page on his website dedicated to preventive dentistry, which outlines the importance of brushing and flossing, the most effective way to do it, and why patients need to visit him twice a year. Without proper care, patients are at risk for tooth decay, gum disease, jaw bone deterioration and ultimately losing teeth. When preventive measures are no longer effective, Dr. Breiterman offers many different treatment plans to help patients return to their optimal dental health. Gum disease patients have access to gentle laser gum surgery through Dr. Breiterman. The surgery stimulates bone growth, which often deteriorates when disease is present. This bone regeneration helps to save natural teeth. For teeth that cannot be saved, Dr. Breiterman places dental implants. 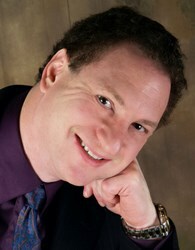 Wayne, NJ patients have access to advanced dental technology with Dr. Breiterman. Patients concerned about their oral health should contact Dr. Breiterman today for a dental consultation. Advanced Dental Techniques is a general practice offering personalized dental care for Wayne, New Jersey patients. Since graduating from the University of Medicine and Dentistry of New Jersey, Dr. Laurence C. Breiterman’s desire to become one of the best has led him to pursue almost 3,000 hours of continuing education. In 2007, Dr. Breiterman received the Mastership Award from the Academy of General Dentistry, which recognizes a dentist's commitment to advanced dental education. He is part of one percent of dental professionals providing the most recent FDA cleared laser procedure for gum disease treatment. Dr. Breiterman is also a Fellow in the International Congress of Implantologists and a member of the American Academy of Cosmetic Dentistry. To learn more about Advanced Dental Techniques and their dental services visit their website at http://www.newjerseygumsurgery.com and call (973) 694-2835.